We wish that the words unique and eclectic were enough to describe Alida & Isaac. But they aren’t. This couple is such a match made in heaven. They are self proclaimed book nerds that have an undying love and appreciation for amazing music (preferably Indie and Flamenco) and fantastic food. Alida knew what she wanted from our first meeting- which we completely respect and admire. 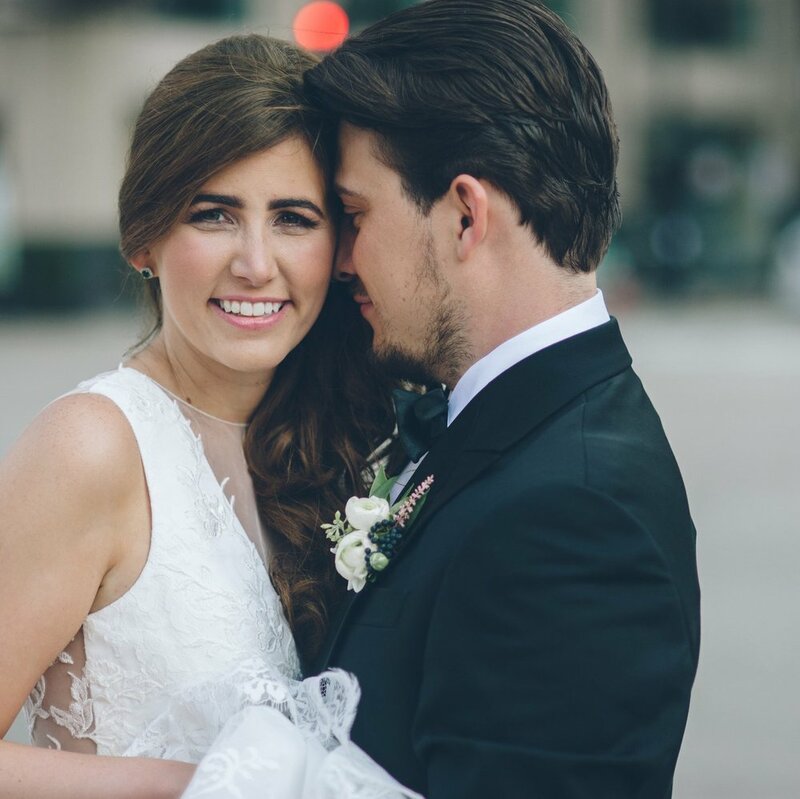 This wasn’t a cookie-cutter event and the imagination and thought that these two poured into making their wedding day uniquely their own was so impressive! Their ultimate goal was to have amazing food, a unique venue, and lively atmosphere. There is no doubt that they achieved that! Isaac has had his eyes on Alida since their first day of college orientation at the University of Chicago. Being the shy guy that he is, he made an introduction and fled the scene. Ha! Four years later, he popped the question in a rather untraditional way. He accidentally allowed Alida to find the ring hidden in a rather obvious (at least to her) spot in her apartment, then asked the formal question at the University of Chicago’s Botany Pond bridge a few days later. As the bride mentioned, The Boarding House is an urban, contemporary Chicago restaurant. They happen to serve Isaac’s favorite steak and Alida’s favorite Whisky Sour too. We love this space because not only is it obviously beautiful, but the venue offers full-service options, which helps to streamline the day-of! 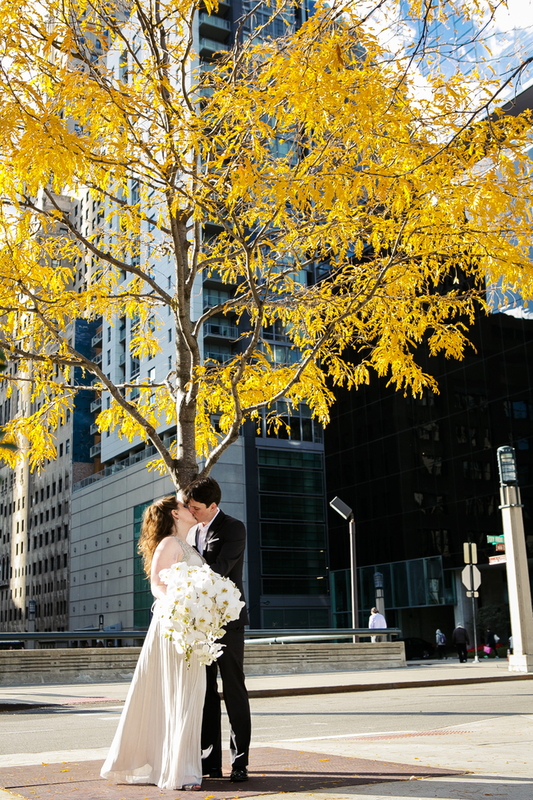 Alida + Isaac’s color palette of Emerald and Silver color pallet was quite a vision! It as almost hard to tell where the venue’s decor stopped and the couple’s decor began because they were integrated so seamlessly. The beautiful silver tablecloths were made by Alida’s great-great aunt and the stunning white hydrangea table runners were the brain-child of her mother. Oh, and how could we forget to mention the jaw-dropping cascading orchid bouquet with Alida’s Grandmother’s rosary tied around the clutch? Gah! It was all just perfection for these two! I think we can all agree that Atmosphere Events paired with The Boarding House made some serious magic! Thank you Hilary for the fantastic photos. Each of these books were hand selected by Alida with special significance for each of her bridesmaids. The couple incorporated music selections with special sentiments during the ceremony and reception. Their first dance was “I Wanna be Yours” by the Arctic Monkey’s. The groomsmen dedicated a Wierd Al song + dance to the couple. Talk about comedy!